I'm nearly done! Just a few more details and I'll be able to sign it, mat it and deliver it to my client. This piece is feeling very good. I'm happy with the "sparkle" it seems to have and I've been able to keep the scene looking sunny. 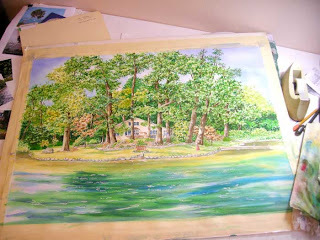 I want to add more glazes to the water to add some depth and texture. 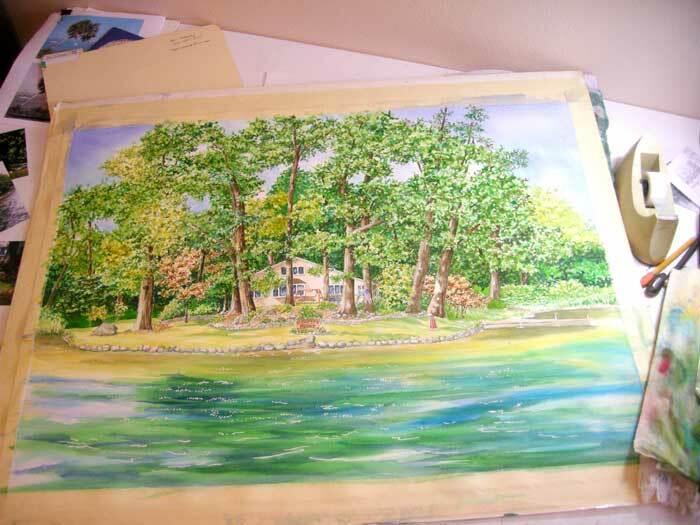 The water should be darker than what it is reflecting, so I have lots of room to glaze and play. Painting the sun spattering onto the lower parts of the trees was lots of fun. I'll try to post the finished piece soon.